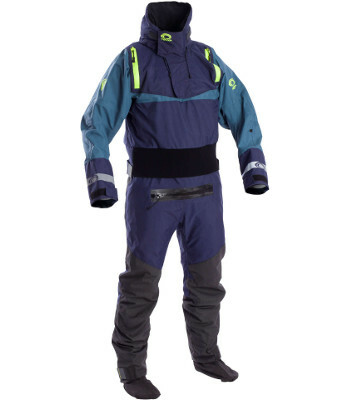 The perfect touring drysuit from Typhoon with hood and a hinge zip entry system. Ideal for kayak touring, sea kayaking & fishing as well as many other watersports. 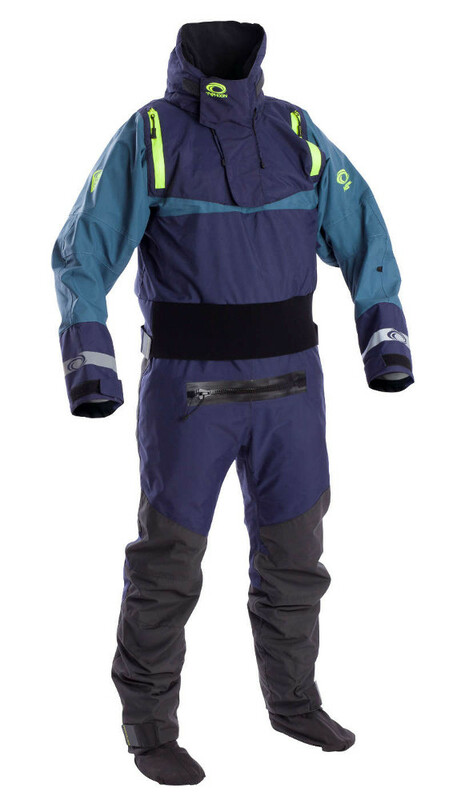 The new Multisport SK from Typhoon is the perfect touring immersion suit. Easy to put on, it has the patented Typhoon hinge zip which runs around the chest and means the suit can be zipped up by the wearer. The SK has a helmet compatible hood which stows away when not needed and a soft glideskin neck for all day comfort. The ankle cuffs are double height for use with longer boots and even sailing wellies will fit. There are two pockets well out of the way of the PFD for essentials and reflective patches for safety. Finally the suit benefits from the 3yr Typhoon watertight guarantee and comes in a tough transport bag which doubles up as a changing mat.